On Saturday, Grants Pass Oregon was clear and sunny and warm. Even though we had only been away for a week, the oaks were all leafed out, and the dogwoods were in their full rosy glory. Lilacs are blooming everywhere and even the iris are starting to bud. We arrived in early afternoon, in time to bring the MoHo out and pack up, and then do a few minor easy chores around the cottage property. I carefully watered the fruit trees and the long line of shrubs, and with 2.5 gallons per minute, I had to be especially careful. Testing a hose and a five gallon bucket showed that at full blast I could run 10 GPM and with no reservoir cistern, could run the well dry in no time. It was a very warm evening, and we opened up all the windows to the cottage. I sat in the twilight reading and catching up on computer stuff while Mo patiently mudded all the tape she put up on the kitchen drywall. She was shocked when she finally sat down in the living room to relax with a glass of wine to discover that it was 9pm. We were even more shocked when we both discovered we were wide awake at 4am. With an expected leaving hour of 8, we didn’t know quite what to do. What the heck, let’s just leave. Can you tell we were ready to be on the road?! Thinking breakfast might be a nice way to kill some time, we decided to try Elmers’ but they didn’t open until 6 so we ended up at Shari’s while waiting for Freddy’s to open the gas islands. Breakfast was OK, but not as great as our favorite Elmer’s place, and we had food in our tummy’s and gas in the rigs by 7am and were heading south on the 5 by ten after. Somehow the road seemed new today, and as many times as both of us have driven the five, together and apart, it was as fresh and interesting as if we had never done it. Most anyone who has traveled out west has been on this road, it is the easiest and fastest way to get from anywhere north to anywhere south in Washington, Oregon, and California. Everyone complains about how boring it can be, but the stretch between Grants Pass and Redding is as gorgeous as any interstate in the country. Especially when the sun shines over Mt Shasta. There as a bit of smoke and haze in the spring air near the mountain today, but it only served to make it even more mystical. “The Mountain” dominates the skyline for a hundred miles in almost all directions, but the view comes and goes between the volcanic landscape surrounding Medford and Yreka. Rounding a curve you get a glimpse here and there before she explodes in her full glory as the road passes through the Scott Valley. Well, explodes maybe isn’t a good word, although she has been quiet for a few centuries now. We took our time, stopping at the vista points, then again at a beautiful rest area near Red Bluff that neither of us remembered seeing before. I think it was there, but has been reworked significantly. The roses were in full bloom and the area was lovely and green with beautiful shade trees and a nice pet area. By mid day the temperatures were in the mid 80’s and I felt myself open up and expand with the warmth just like those roses. We drove as far as Costco in Woodland before stopping for fuel and then Mo drove through downtown Sacramento and around the complex ramps to get on the 50 going east to South Lake Tahoe. I lived in Sacramento back in the 70’s, visited Maryruth there many times since when she lived there, and still that turn onto 50 east is disquieting. Today it was a piece of cake, though, a great reason to travel on a Sunday through the cities. 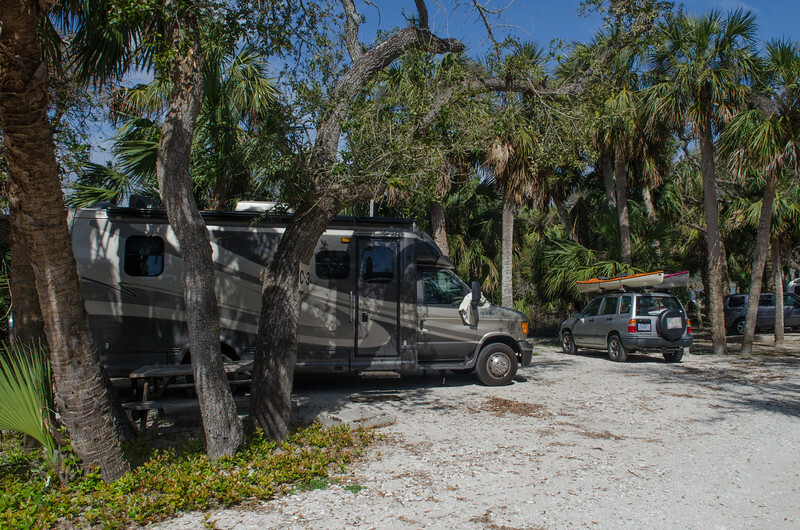 Our destination this afternoon was Shingle Springs and the Elks Campground just about 5 miles away from where Laurie and Odel have settled in to homestead. They met us at the campground with some instructions about where to dump if we needed (we did!) and maps of how to get to their house. Mo keeps asking if Laurie was a teacher. She gave me three maps, a distance google map, a close-up google map with bulleted pop-outs, and a page of written instructions. It was all detailed, specific, and perfect. We still managed to turn the wrong way for a moment before correcting. This part of the California foothills is lovely, and full of narrow, winding roads that just wander off willy-nilly in almost any direction. Beautiful. We found their home, marveled at their incredibly good luck in finding such a perfect place to live, and then went for a walk around the pretty little lake that is the focal point of their extended home park. As Laurie has said, it is a bit like living in a really nice RV Resort, only with more room in the kitchen. The lake was charming, and filled with adorable goose families and one half of a pair of beautiful black swans. The walk felt good after a day in the rig and by 6 we were all ready for dinner. A short drive to a Taqueria nearby led us to a nice cool patio and some good Mexican food. Laurie’s ceviche was fresh and delightful, Mo had a chimichanga that was spicy and flavorful, and my flautas were like cardboard filled with chicken leather. ah well, most of it was really good! It is so great to have some time with friends we enjoy so much. Laurie and Odel are both fun to be around, easy to talk with, and always entertaining. One of the lucky finds of the RV life for us. Tomorrow there is more socializing on the agenda with a great drive north on the famous Highway 49 to Nevada City. Right now the night is dark and quiet and the air is still warm and soft. For a few minutes this afternoon things were less than lovely, with a bit of black tank dumping fiascos, but now it is all good. Isn’t it amazing how that can happen? While walking around with L and O we found ourselves talking about dog poop, cat boxes, black water tanks, and being sick on a ship. Geez….Maybe we can find something better to talk about tomorrow! April and Time to Get on the ROAD! I know that life is either very good or very bad when I don’t have time to write. This time it is very good. Thank goodness. It was the same way when I kept all those handwritten journals so many years. When things were good there are very few entries, when things were bad there are pages and pages of them. If my daughters ever find my journals after my death they would think I lived a horrible life if they didn’t know otherwise. That seems kind of sad to me in a way, but I suppose journaling is a form of self therapy and when things are good who needs therapy! More than a month has passed since I last wrote in this particular journal, but the one that is now getting filled up is the Google Calendar, with what the weather was doing, where we were, and all those dang dentist and doctor appointments. I guess that is what life can be reduced to sometimes. I love going back to the blog to remember what we were doing, however, it is a lot more fun that looking appointments on a calendar, and I don’t want April to be a giant black hole. The calendar looks really good today, with reminders of what to do next. “Pack for trip” “Send in last timesheet” and other such exciting little things. I have worked in town all week, so Mo has been taking care of home stuff, including setting up the complex sprinkler system and washing the cars. We finally have spring weather here in Rocky Point and the grass might need some watering while we are off wandering around the desert. Friends are back to house sit, but they don’t have a clue how to work with Mo’s intricate battery timed watering system, so by the time we leave it will be all automated and running and hopefully no hard freeze will mess it all up again. You never know in this part of the world. Easter was so dang early this year that I barely had time to put up decorations before it was over, so I decided that April was Easter month and the decorations only came down a couple of days ago. Now all is quiet until Halloween and the only yard decorations will be whatever happens to be blooming. We had a simple Easter dinner and egg hunt here in Rocky Point, and then Mo and I spent a lot of time over in Grants Pass taking care of cottage chores. I even managed a bit of quilting here and there in between trips and chores and work and appointments. I think I raked a total of twelve full days to get all those oak leaves up and burned. We tore out the old wall between the kitchen and the bathroom and Mo got a new one framed and drywalled, and it is ready for taping. The roof no longer leaks, the kitchen floor is now dry with no hidden wet surprises appearing, and the little cottage feels nice and cozy. We like staying there, especially this time of year. More than once this past month we left spitting snow and icy roads to drive over to Grants Pass and green grass and blooming spring flowers. Ahhhhh. Spring is one of my favorite times, so it is a kick to have spring extended this way as we drive back and forth between home and the cottage. Daffodils over there have been gone for three weeks and they are just now coming into full bloom here at home. This last week was our annual progress office review and I delighted in the role as a worker bee rather than the supervisor. No stress! I love that part of working as a retiree part time. I am no longer in charge. Another ahhh. After a couple of trips to the cottage and a lot of work around home, we are both ready to make use of that great motorhome that is sitting over there waiting for us. This time the decision is to head back down 395, the back side of the Sierras, the eastern slope of California. Our destination: Death Valley. We haven’t been there since 2004, although several times in our travels we have passed by it on both sides. This time we will just explore the valley. Our route home up 395 will bring the MoHo back to Rocky Point and her home berth, ready and waiting for summer camping trips. No more snow to worry about. On the way south we have a couple of fun stops as we amble toward 395. It is that blog friend thing that I treasure, we will visit old and new blog friends in Placerville and Nevada City. More to come on that after I get photos and permission to post them! Then it is over the mountain and into the desert. Abby will be with us, but this time I decided to let our 17 year old kitty Jeremy spend the time at his cozy little home at the vet’s. I’ll miss him, but desert heat can be daunting, and if we take Abby in the Tracker with air conditioning, it is worrisome to leave Jeremy in the rig, especially if we don’t get a spot with hookups. Our route can have weather running the gamut of freezing nights to days over triple digits. Furnace Creek now has 21 sites with full hookups, but we can’t reserve any because the season officially ends on May 1, our arrival date, so we are taking our chances. Worst case scenario can be that we will have to return to higher ground and lower temps. Either way, it will be great. We are planning a loose trip with options open to whatever fits and whatever works. Just a trip with some time in the desert! It is one of the reasons Mo and I like where we live. We have ocean coast within a short drive, and desert just the other side of Klamath on the Nevada side. The other delight for me will be heading east from the I-5 over the Sierras and not having to slog our way south through the San Joaquin Valley as we do every winter on our way to Desert Hot Springs. ahhhh. On another note…reading blogs seems to be slipping away from my list of priorities. Of course there are still a few that really matter to me a lot, and so I wade through the long list to check on those few, how many of you do that as well? There are some writers that make me laugh out loud and I look forward to that. Others who have photos that take my breath away and I am always waiting to see what is next. Others I have come to care about, for whatever reason, and I want to know they are ok, or where they are, or what is happening for them. I am not going to list them here, or link to them because somehow that just doesn’t seem fair. Each writer spends time and energy putting themselves out here for whatever reason and that should be respected, I think. But as I do this, and read so many blogs of “stuff”, I totally recognize that my blog is also full of “stuff” that is only relevant to me, and trying to write for anyone but myself is a waste of time. Someone is looking at my header on google reader or feedly and cruising right by whatever I have to say. Some have the skill to write daily in ways that I don’t want to miss, but whether I have the skill or not, I certainly don’t have the desire. I have no need or desire to put up ads, so what do I need to worry about readership for anyway? It is so easy to get sucked in by the stats, who is reading, where are they from, what do they look at. I HATE that, I hate it that I still look at the stats and that I think, “Gee, I should post something so people keep reading”. Dumb, just dumb! I should post something just because I want to know what I did in April of 2013. We all talk about this now and then, I know. I see little blurbs of people saying they aren’t reading as much, and more blurbs of apologies about why they haven’t written. I catch myself thinking that way as well, that I should say why I haven’t written, but nobody really cares, do they?? If they are friends, they know why I haven’t written, and we have probably been emailing all along. If they aren’t friends, they don’t care why I haven’t written! Ah well, enough of my little rant here….it is time to pack! Here is a little photo of us back in 2004, the first time we visited Death Valley together, pre-blog of course.